I'm a Delicious NM member featured in the book. Give me my wholesale discount! Order Dishing Up® New Mexico! 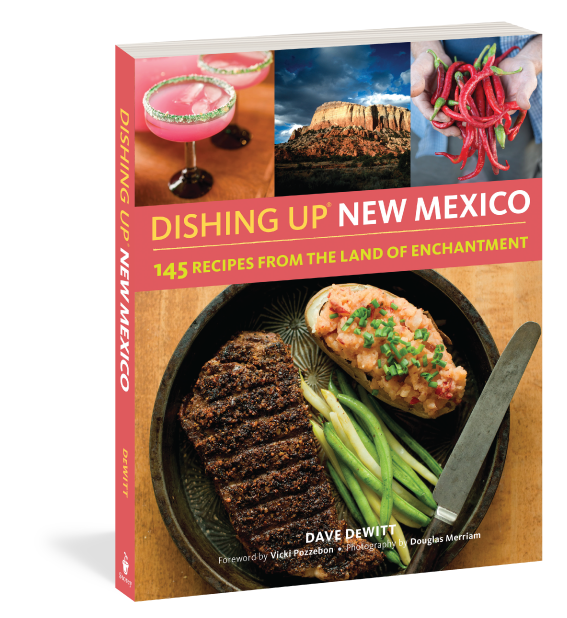 Dishing Up® New Mexico is a visual tour of New Mexico's food and drink scene, with beautiful photography of farms, inns, and more. Profiles of the people behind these enterprises, along with suggested itineraries for food lovers traveling the state, make this book an engaging read and a travel companion as well as a must-have cookbook. Featuring many Delicious New Mexico members, this visual tour of NM's food and drink scene is a must-have travel companion and cookbook. Order locally from us and get a special autographed copy! $20 - Includes Tax & Shipping! You will be redirected to a secure PayPal transaction form upon clicking submit.